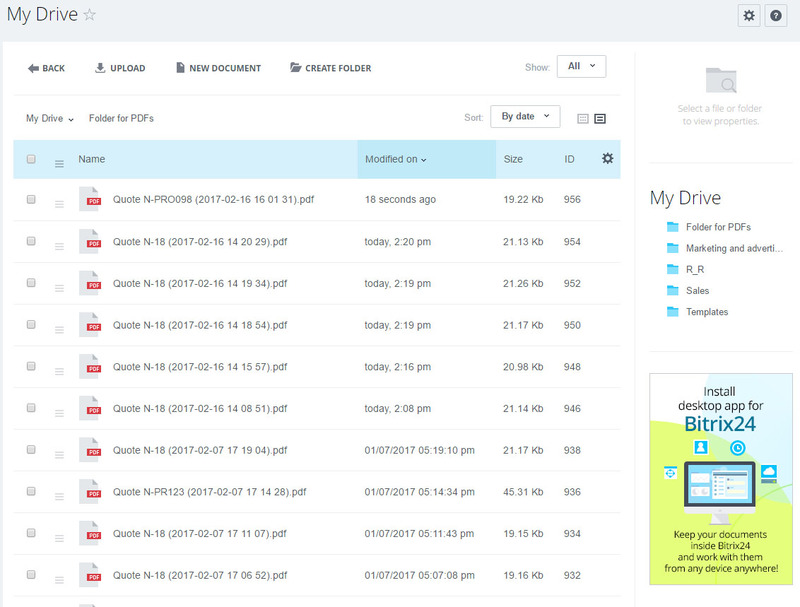 This app allows the creation of PDFs from Quotes in the Bitrix24 CRM using templates that can be built by the user. 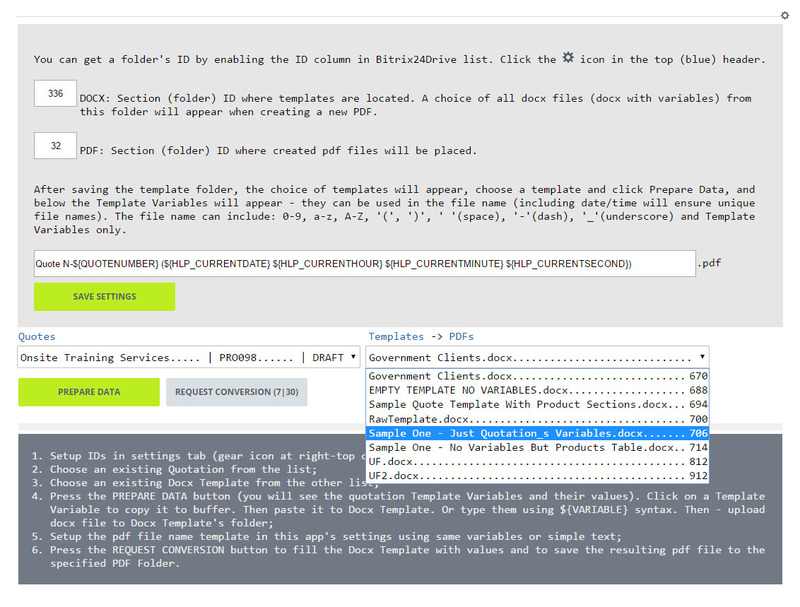 Templates are in .docx format and are stored in a Bitrix24 Drive folder that you specify. 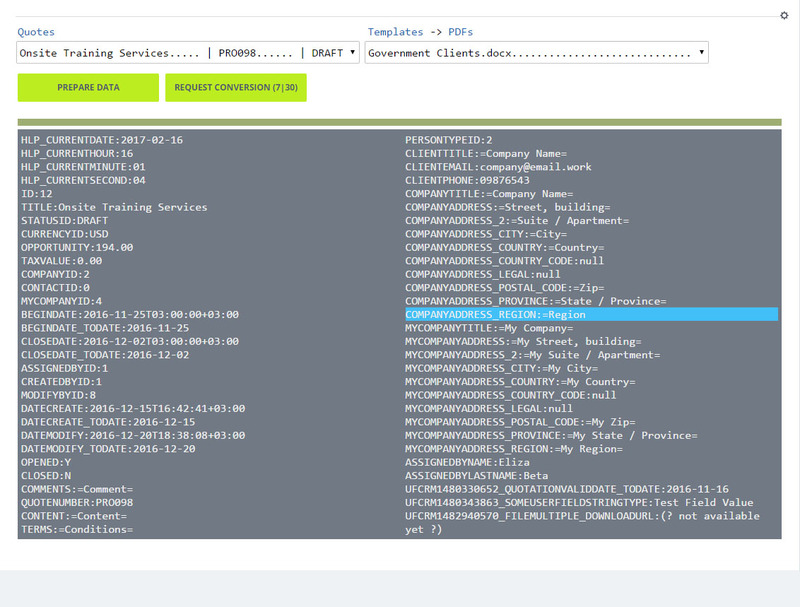 Templates support variables from Quote fields as well as images, headers, and footers. Note: A 7-day trial is free. Because this Marketplace does not yet support paid apps, everything is marked as free. Version 2, improved version of app. 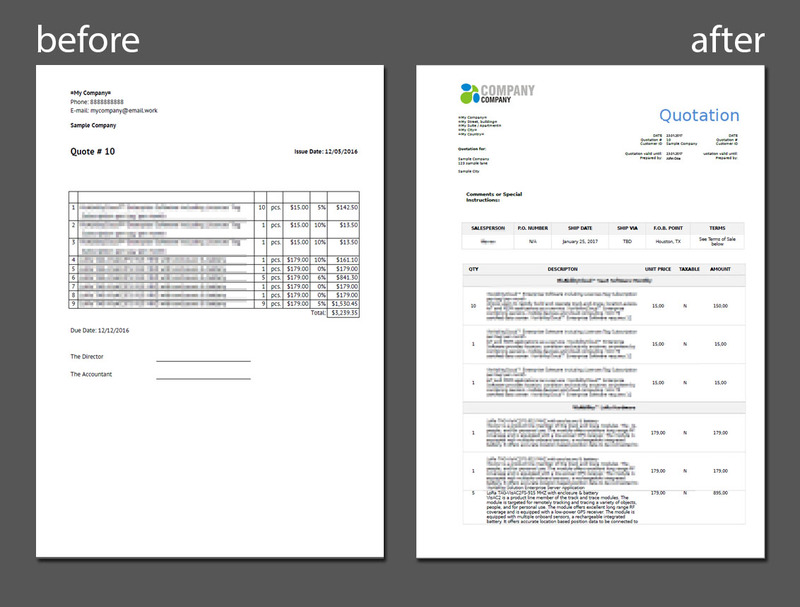 Creation of .docx templates is not difficult, but complex quotes and tables in them may require some time to develop. 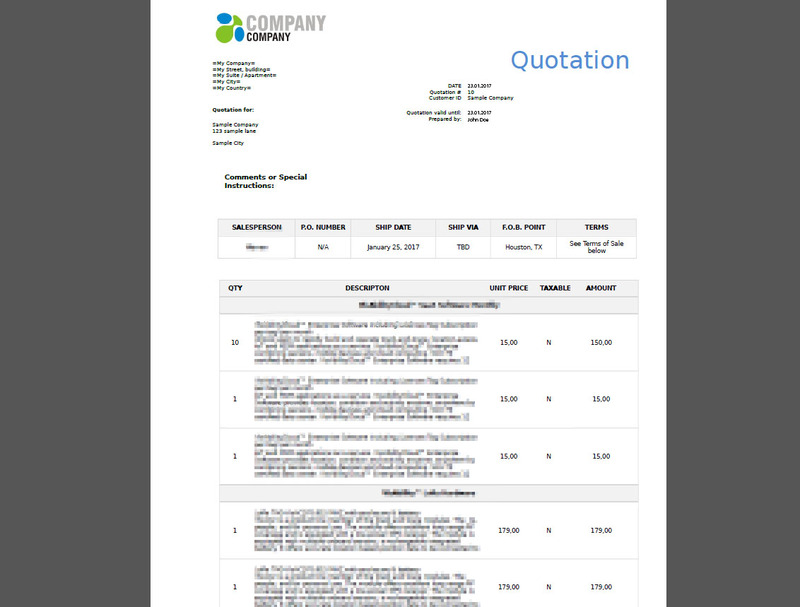 MAKE Interactive can offer assistance, but inspecting quote templates can provide the concepts needed to make your own quotes. Note that font and text formatting needs to be carefully applied, as a change in formatting in the middle of a variable will result in its being unresolvable. After installing the app from the Marketplace, follow the use instructions that can be downloaded here. A sample template can be downloaded here. 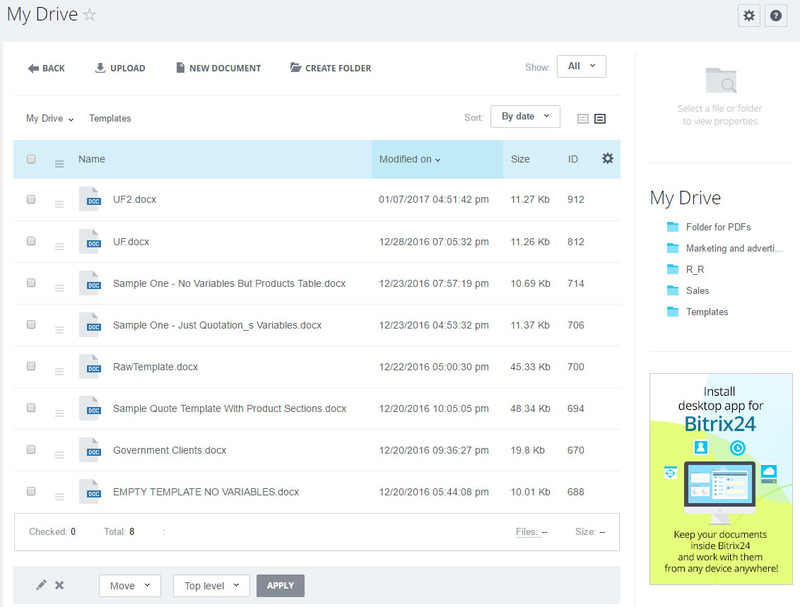 The product requires at least 2 folders to be created in Drive, one to hold templates in .docx form, and the other as the target for the created documents. Go to the settings of the given Drive to display the folder ID - these IDs are entered in the app settings. Note that only a 7-day trial is free. Because this Marketplace does not yet support paid apps, we can only enter it as a free app, but long-term, it is not free. Payment details are available through the app.